Bangladesh can reduce poverty and accelerate growth faster by taking urgent actions to improve the quality of water and sanitation, says a new World Bank report. The report ‘Promising Progress: A Diagnostic of Water Supply, Sanitation, Hygiene, and Poverty in Bangladesh,’ launched on Thursday, finds that poor drinking water quality affects the rich and poor and the rural and urban population alike. “But, the poorest quintile of the population suffers three times more from water and sanitation related gastro-intestinal diseases,” it said. 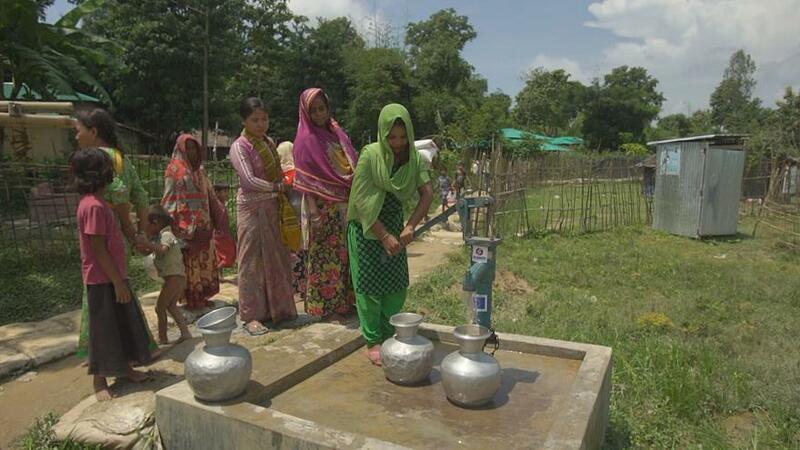 At present, 98 percent of Bangladesh population has access to water from technologically improved water sources. However, the water quality is poor. E coli bacteria were present in 80 percent of private piped-water taps sampled across the country, a similar rate to water retrieved from ponds, said the report. “Poor water quality and sanitation can hold back a country’s potential because unsafe water and poor sanitation are linked to nutritional disadvantages in early-childhood.” said Sereen Juma, Acting Country Director for Bangladesh, Bhutan, and Nepal. Further, naturally occurring arsenic in ground water also affects people: about 13 percent of the country’s water sources contain arsenic levels above Bangladesh’s threshold. The Chittagong and Sylhet divisions suffer most from arsenic contamination. Climate change is increasing the intensity and frequency of natural disasters that disrupt water and sanitation services. During times of disaster, about a third of households in the country’s high-risk areas switch to contaminated, unimproved water sources. The coastal areas are increasingly suffering from salinity-intrusion, which is affecting the poor more. Bangladesh has successfully eliminated the practice of open defecation. Still, about 50 million people use shared, rudimentary toilets, and only 28 percent of toilets are equipped with soap and water. In urban areas, slums have poor access to clean water and safe sanitation. Large-city slums have five times less access to improved sanitation and have the highest rates of childhood undernutrition in the country. “There is scope for Bangladesh to improve access to sanitation beyond the household level to public places, schools, health facilities, and workplaces,” says George Joseph, report co-author and World Bank Senior Economist. This research is part of the World Bank’s WASH Poverty Diagnostics initiative in 18 countries, including Bangladesh.